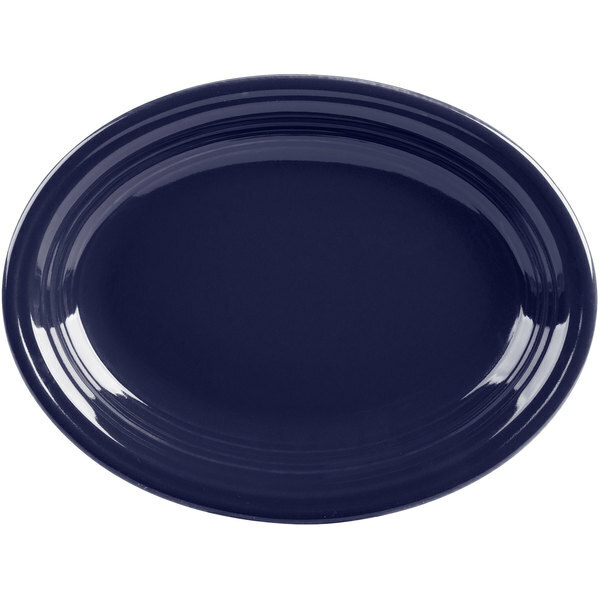 Serve your signature entrees on this Homer Laughlin 457105 Fiesta Cobalt Blue 11 5/8" medium oval platter! Introduced in 1936, Fiesta dinnerware was an immediate hit and its iconic concentric rings and dizzying array of available colors make it one of the most popular and recognizable dinnerware patterns worldwide. This piece contains Alphalain® which is made up of alpha aluminum material. Alphalain® helps to reduce chipping, breakage, and scratches commonly caused by the wear and tear of everyday use, while enhancing durability and also providing superior heat retention. 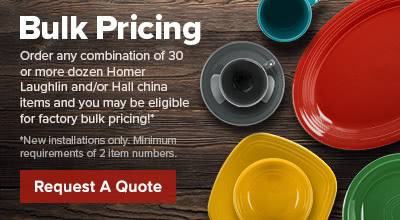 Homer Laughlin China is backed by a limited lifetime no-chip warranty. 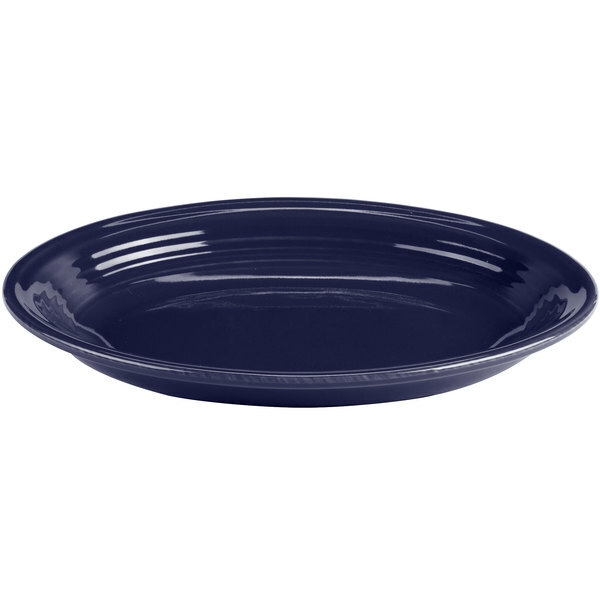 This platter allows you to serve and show off salads, appetizers, desserts, and more. 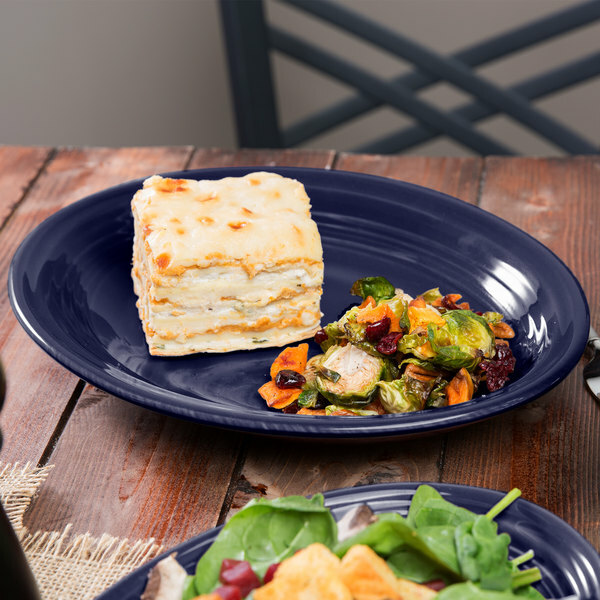 Its bold, cobalt blue coloring and brilliant, lead-free glaze are sure to complement the decor of your restaurant, diner, or cafe! These plates are great! Not to mention were cheaper to buy through here than homer laughlin directly. Also said they would take a while to ship but arrived almost immediately. They blue color is outstanding. First off, Cobalt Blue is a fantastic color. 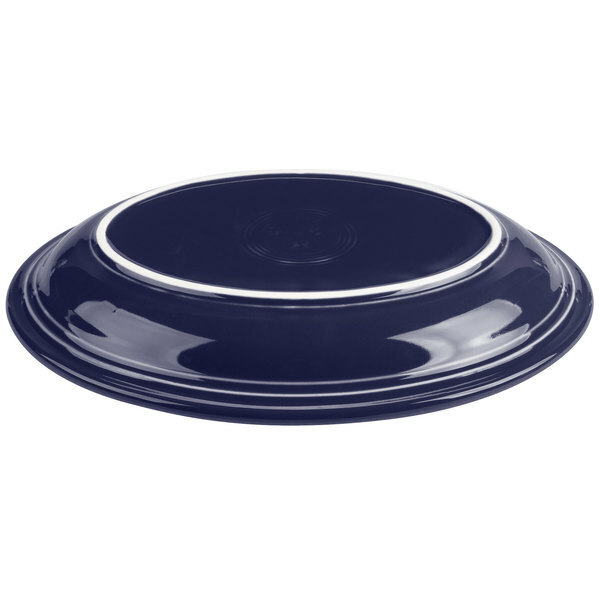 This company produces a very durable plate that I have no doubt will last for years. Now, the only thing I dislike is the depth of this platter. Yes, I should have been more skeptical of these plates. The pictures of these plate don't really show the rim, or the depth. I could probably use these as pasta bowls and no one would question it.